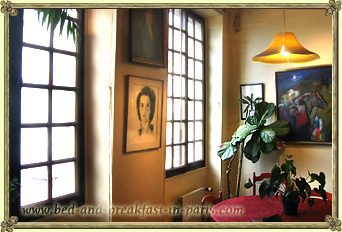 On the left-hand side of the river Seine, behind the Panthéon and the Quartier Latin, you will find the quiet, comfortable and ideally located property offered by Jacqueline. In a historic building with beautiful wooden beams, you will be offered a room of 13m2 with a double bed or two single beds, whichever you prefer. Equipped with a private bathroom and a private entrance allowing independence and flexibility. Jacqueline is the perfect host, she is very welcoming and speaks Spanish and English. At the times mentioned, every night gives you a reduction of 14 € (2 people).